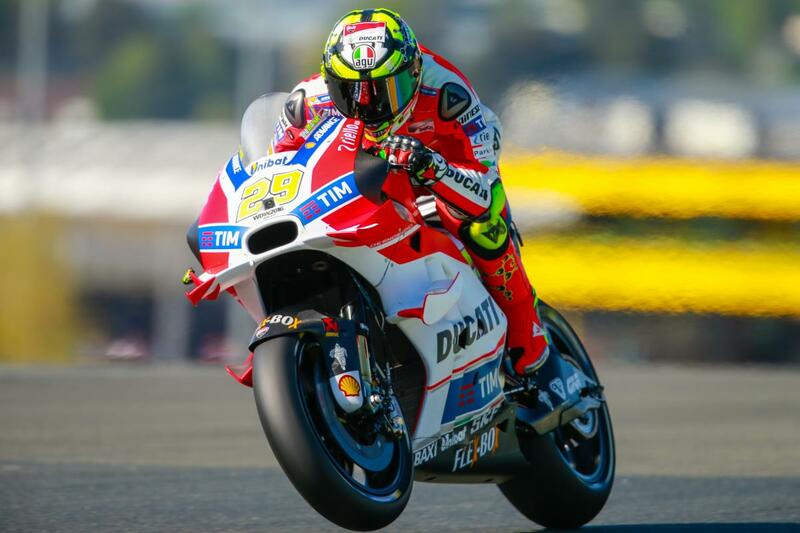 Thanks to a tow from Lorenzo, Andrea Iannone secured the fastest time of the weekend ahead of Lorenzo and Pol Espargaro as times dropped. Free Practice 3 presented riders in the MotoGP™ World Championship their last chance to get inside the top ten and gain direct access to Q2. 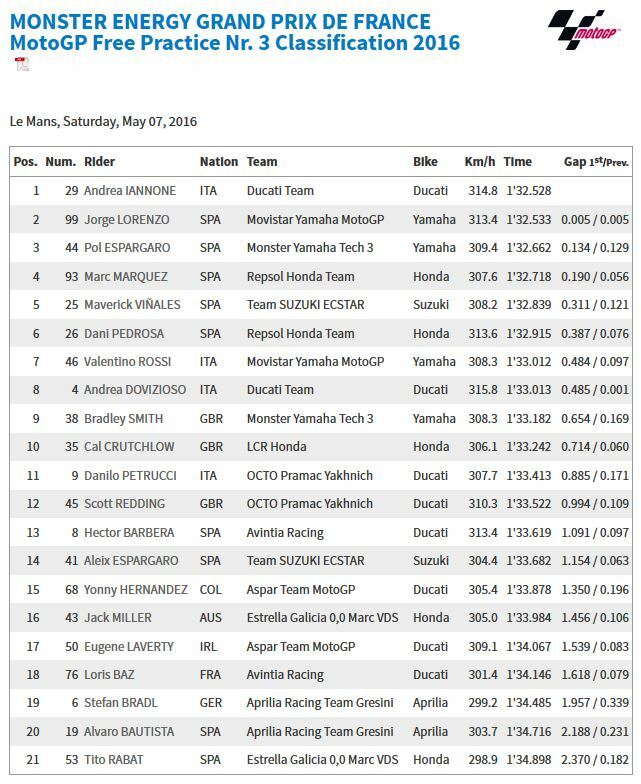 As the session commenced Cal Crutchlow (LCR Honda) and local rider Loris Baz (Avintia Racing) were on the cusp of the important top ten. Valentino Rossi (Movistar Yamaha MotoGP) saw some of the biggest improvements during the first half of the session, cutting eighth tenths off his FP2 time. 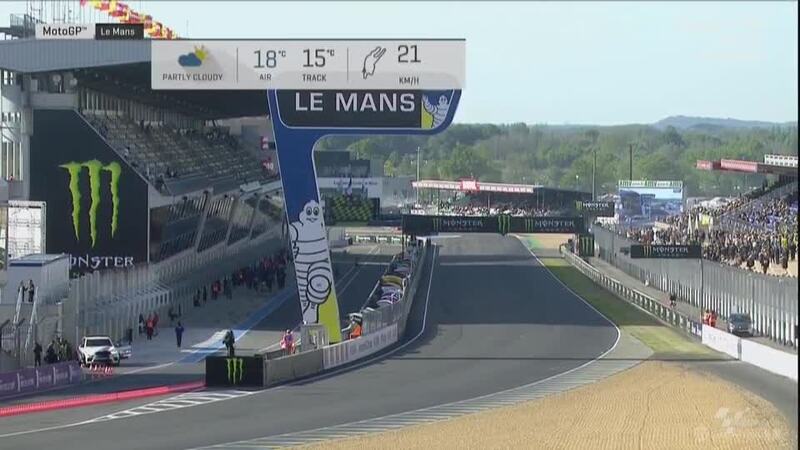 The biggest changes came when riders went out for their final runs, a number of riders joining Jorge Lorenzo (Movistar Yamaha MotoGP) in the 1’32s. 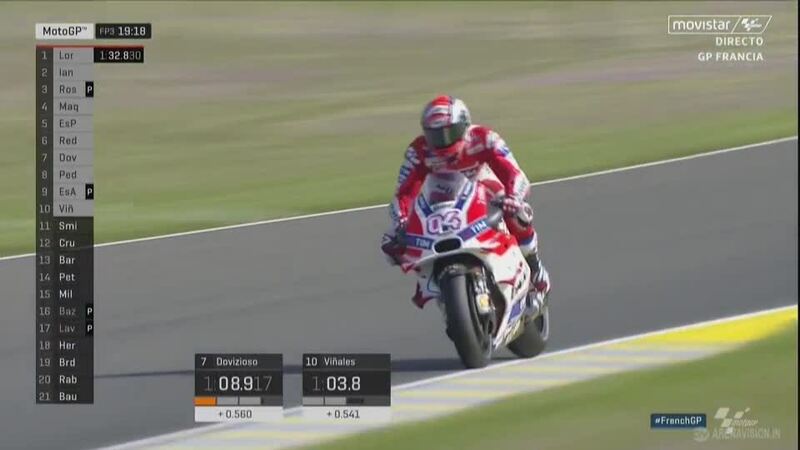 Fastest on Friday (see the Friday review here), Lorenzo showed no signs of slowing down as he set a 1’32.533 before the end of the session. 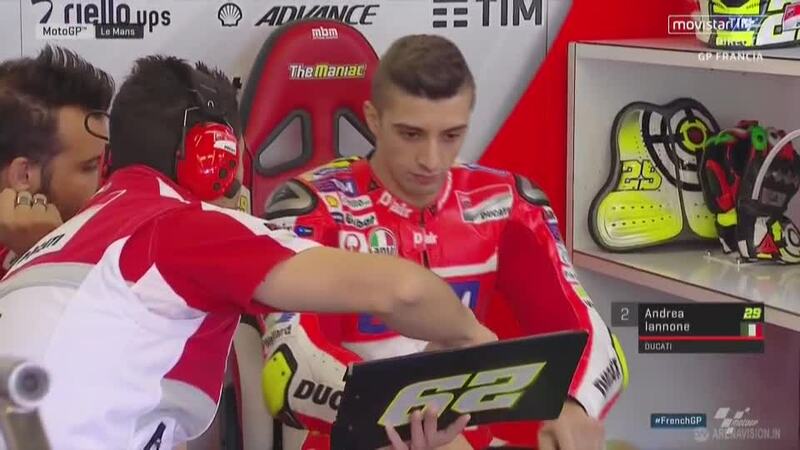 Andrea Iannone (Ducati Team) continued to make significant progress and was able to tag onto the back of Lorenzo on his final lapping, helping the Italian to set a 1’32.528 and top the session. 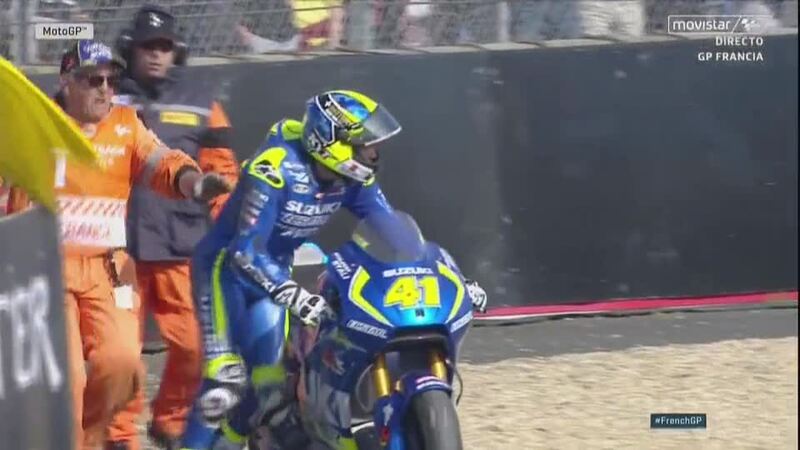 Aleix Espargaro (Team Suzuki Ecstar) lost the front of his GSX-RR going into Turn 14, sliding off before pushing his bike back to the pits. 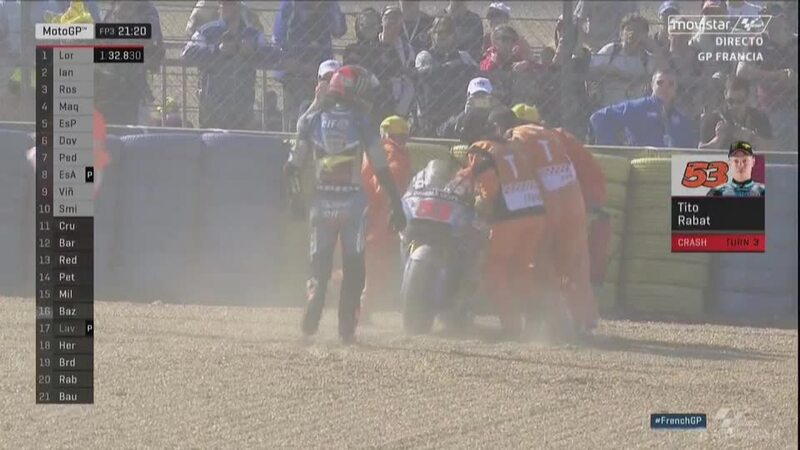 Class rookie Tito Rabat (Estrella Galicia 0,0 Marc VDS) fell midway through the session at Turn 3 but was unharmed.